This Act extends to the whole of India (including state of Jammu and Kashmir). It applies also to any offence or contravention committed outside India by any person, irrespective of his nationality, if the act or conduct constituting the offence or contravention involves a computer, computer system or computer network located in India. “Will” define in Section 2 (h) of the Indian Succession Act, 1925 including any other testamentary dispositions; Entering into a contract for sale or conveyance of immovable property or any interest in such property. By notification issued or order made by the appropriate Govt. any other material produced by a computer or any other device. Information means any material in any form, including records, documents, memos, e-mails, opinions, advices, press releases, circulars, orders, logbooks, contracts, reports, papers, samples, models, data material held in any electronic form. Third party means a person other than the citizen making a request for information and includes a public authority. Right to know is a necessary ingredient of participatory democracy. 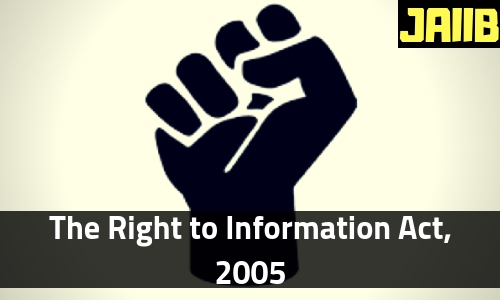 The Government enacted Right to Information (RTI) Act, 2005 which came into force on October 12, 2005. This act applies to all part of India, even having foreign operations also. The RTI Act provides for setting out regime of right to information for citizens to secure access to information held by public authorities to promote transparency and accountability in the working of every public authority. Every public authority under the Act has been entrusted with a duty to maintain records and publish manuals, rules, regulations, instructions, etc. in its possession as prescribed under the Act. Further, it is obligatory on every public authority to publish the information on various particulars prescribed under the Act within one hundred and twenty days of the enactment of this Act. Every public authority has to designate in all administrative units or offices Central or State Public Information Officers to provide information to persons who have made a request for the information. The Public Information Officers/Assistant Public Information Officers will be responsible to deal with the requests for information and also to assist persons seeking information. The Act specifies the manner in which requests may be made by a citizen to the authority for obtaining the information. It also provides for transferring the request to the other concerned public authority that may hold the information. Some specific type of information kept outside the scope of disclosure under Section 8 and 9 of the Act. 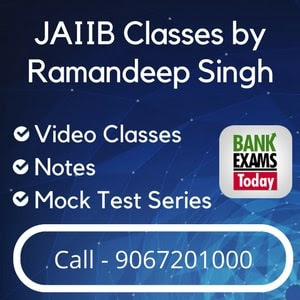 Subject to certain conditions, Intelligence and security agencies which are specified in Schedule II to this Act are exempted from the ambit of the Act. The Public Information Officer has powered to reject a request for information, where an infringement of a copyright subsisting in a person would be involved. If any record which comprises both type of information, which are need to be disclosed and exempted from disclosure. Then only that part of such record which can disclosed need to be reasonably severed and provided. The Act envisages constitution of Central Information Commission and the State Information Commissions. Central Government constitute the Central Information Commission, through a Gazette Notification. The Central Information Commission consists of Chief Information Commissioner along with Central Information Commissioners not exceeding ten. Similar way at each state level the State Information Commission will be established by State Government through a Gazette notification, and comprises of One State Chief Information Commissioner & maximum of Ten State Information Commissioners. The persons who will be appointed as Chief Information Commissioner and Information Commissioners need be eminent in public life with wide knowledge and experience. Chief Information Commissioner once appointed have term of 5 years from date when he enters in his office or the age of 65 years, whichever is earlier. CIC is not eligible for reappointment. The Central /State Commission have been authorized to receive and enquire into a complaint from any person who has been denied information by the concerned authorities due to various reasons as specified under the Act. If the Commission feels satisfied, an enquiry may be initiated and while initiating an enquiry the Commission has same powers as vested in a Civil Court. Any person who does not receive a decision within the specified time or is aggrieved by a decision of the PIO may file an appeal under the Act. Stringent penalty may be imposed on a Public Information Officer for failing to provide information. The Information Commission (IC) at the Centre and at the State levels will have the power to impose this penalty. The Act also stipulates the role of the Central/State Government.